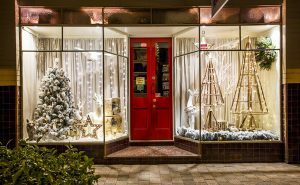 With the cold weather setting in, we got a few tips from Ali Newtown, strategy and marketing manager at The Display Centre, to create wintry window displays that will draw customers in. Newton says it is important to change your window display every two weeks because we tend to become desensitised to things very quickly. “A good example of this in animals is when horses first encounter a scary object; they shy away and are frightened,” she explains. “If they are exposed to this object many times, eventually they become desensitised to it and soon stop noticing it altogether. 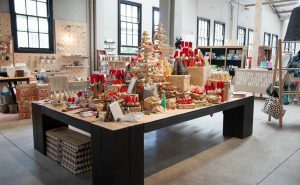 To make things easier, Newton suggests sticking to a theme—for example winter—and planning your windows and the merchandise you will use in each display. 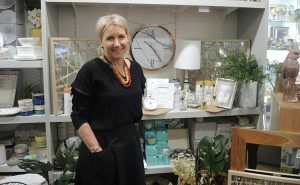 Winter merchandising is a delicate balance between stocking relevant items—like scarves and hot water bottles—and not jumping the gun and getting rid of your warmer weather items too soon. “You need to choose the right moment to strike and when you do, use relevant decorations and props,” says Newton. For example, a wintery white background with snowflakes or icicles offers a great canvas for bright, bold items. Your colourful products will stand out against the light background, while tying into a winter theme. A good rule of thumb when creating window displays is to build them in three layers, says Newton. The first layer of depth is usually on the window itself, for example vinyl snowflake stickers in the corners to act as a frame. The second layer of depth is the main event. It could be mannequins in winter coats or a table and chair scene displaying your products. The third layer is the backdrop to your display. 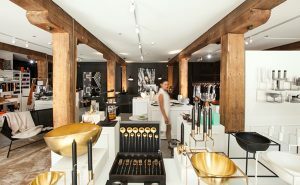 “For some, this may be a direct view into the shop itself. In these instances, ensure that your shop floor is kept tidy at all times, so as not to deter customers from browsing.